In Tokyo, Japan, in 1936 the Ricoh Company was founded by Kiyoshi Ichimura. In 1957 Ricoh makes Japan's first mass-production Cameras. The Company took the name of its products, becoming Ricoh in the year 1963. Ricoh is well known for a series of point and shoot cameras, made from the early1980s until the 1990s. In the early 1980s the Ricoh AF-5 was made, it was a sophisticated well made point and shoot auto-focus compact camera for 35mm film with an integral flash and auto-focus, and was manufactured exclusively by the Ricoh Camera Company. 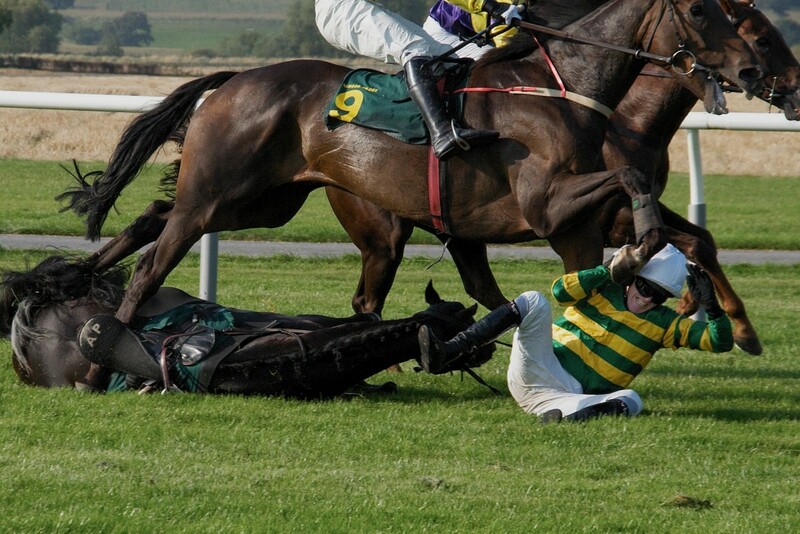 The lens produces particularly remarkably contrasts photos in good light. It would come with a strap, manual, and the original factory box. The suggested list of $169.96 for the Ricoh AF-5 was its base price in the early 1980s. Two factories made this model, one was in Japan, and the other was in Taiwan. The last of the line Ricoh’s point and shoot auto-focus cameras was the Ricoh RZ-1050 built in Tokyo Japan in the 1990s. The Ricoh AF-5 was made it was a point and shoot autofocus compact camera for 35mm film with an integral flash and autofocus, manufactured by Ricoh. The Ricoh AF-5 is a point and shoot auto-focus compact camera for 35mm film with integral flash and superb auto-focus, manufactured by Ricoh circa 1980. These model specifications: Lens: 38mm / f2.8 Color Rikenon (Tessar-style 4 elements in 3 groups). Filter diameter 46mm. Auto-focus with pre-focus from 1m-infinity.With an Albada viewfinder, with parallax correction marks and low-light warning. Magnification: 0.46X. The field of view for the Ricoh AF- percentage was 83%. It has an auto-exposure via CDS photocell, and the coupling range was EV6 - EV17 (ISO 100). This model had an easy to load film design, with auto-wind and rewind. 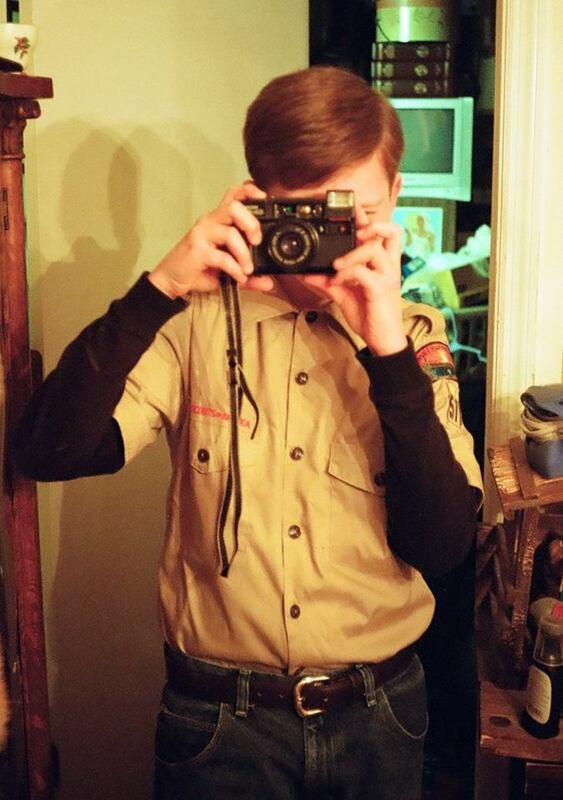 The Ricoh AF-5 had a manual setting of ISO from 25-1000, and an integral flash … 12m at ISO 100. This model as had a 7 second recharge, and a self-timer. The power for this remarkable camera comes from two simple AA batteries. Here in a nutshell is a more concise summary I made of the Ricoh AF-5 film camera, it is an early 1980′s well-made point and shoot auto-focus compact 35mm camera with integrated popup flash that was powered by 2 x AA batteries. 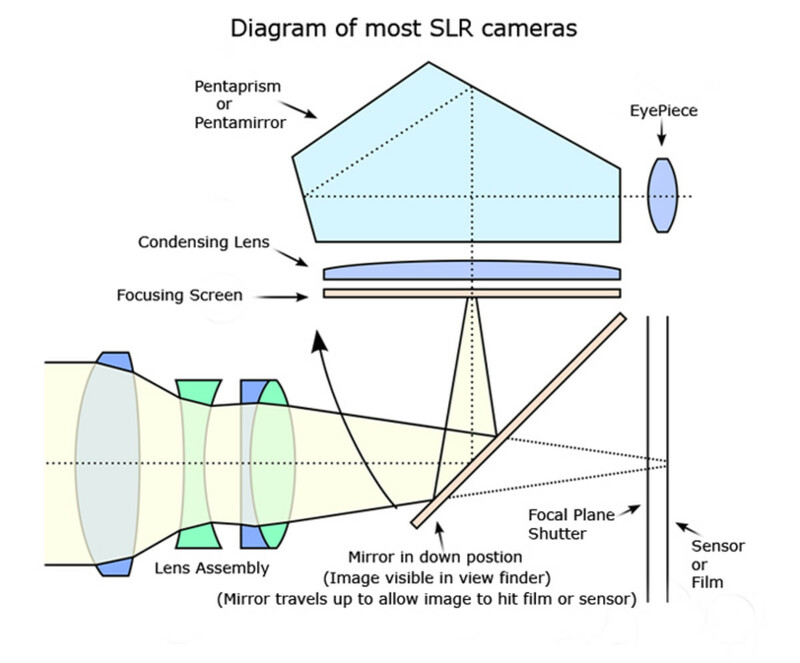 The dimensions of the camera are 129x79x55mm.The weight of the Ricoh AF-5 is 330g (without the two AA batteries). The attached lens cap prevents accidental shutter release, by pushing a switch that disconnects the power. This also prevents the two batteries from wearing down. It has a great Albada viewfinder with parallax correction marks and low-light warning. The magnification are: 0.46X. Field of View 83%. 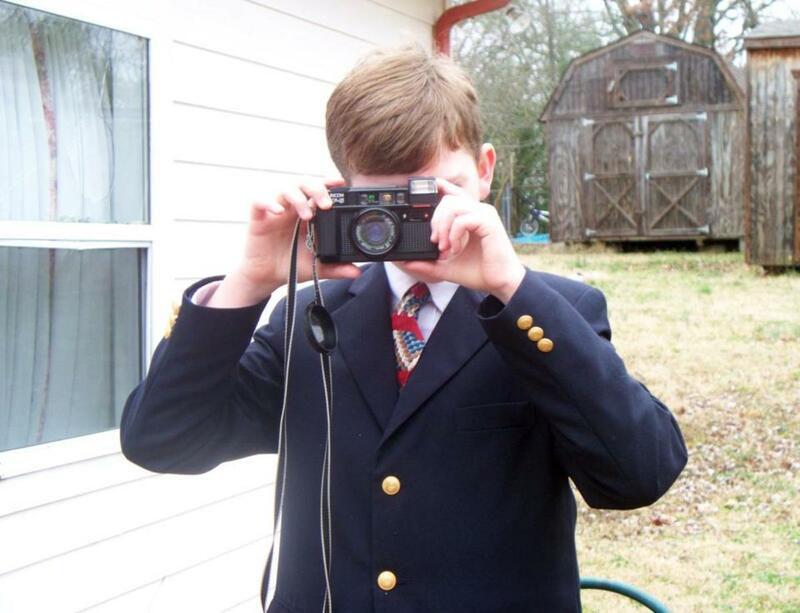 Grantley and his vintage Ricoh AF-5 35mm Camera, Circa 1980s camera. The Ricoh AF-5 is a point and shoot autofocus compact camera for 35mm film with integral flash and autofocus, manufactured by Ricoh circa 1980. These model specifications: Lens: 38mm/f2.8 Color Rikenon (Tessar-style 4 elements in 3 groups). Filter diameter 46mm. Autofocus with pre-focus from 1m-infinity.With an Albada viewfinder, with parallax correction marks and low-light warning. Magnification: 0.46X. The field of view for the Ricoh AF-% was 83%. It has an auto-exposure via CdS photocell. Coupling Range EV6 - EV17 (ISO 100) Easy-load film, with auto-wind and rewind. The Ricoh AF-5 had a manual setting of ISO from 25-1000, and an integral flash … 12m at ISO 100. 7 second recharge, and a self-timer. The Ricoh AF-5 automatic point and shoot camera, and the Ricoh RZ -1050 automatic point and shoot cameras made the Ricoh Company well known for its series of point and shoot automatic cameras. Most consumers in the 1980s recognized the Ricoh name as standing for some of the best made film cameras available. 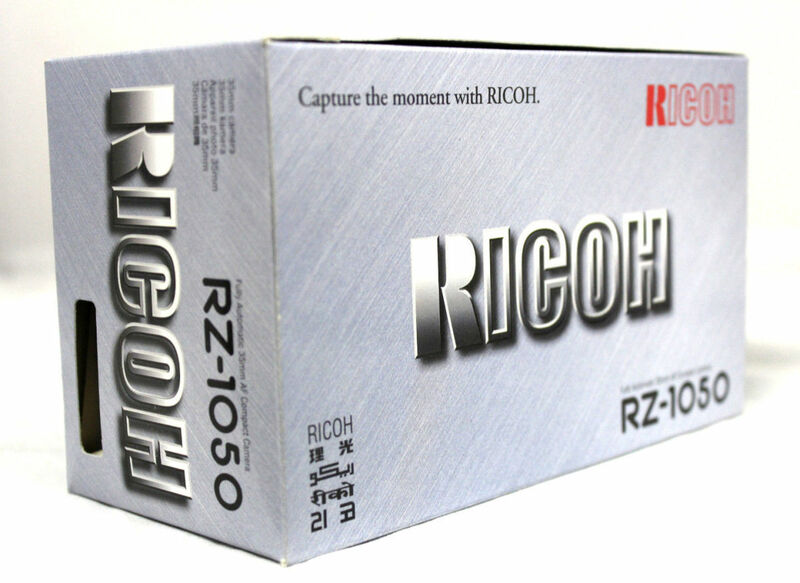 During that time Ricoh was one of the world’s most advance and high-tech Camera Company’s in the world. 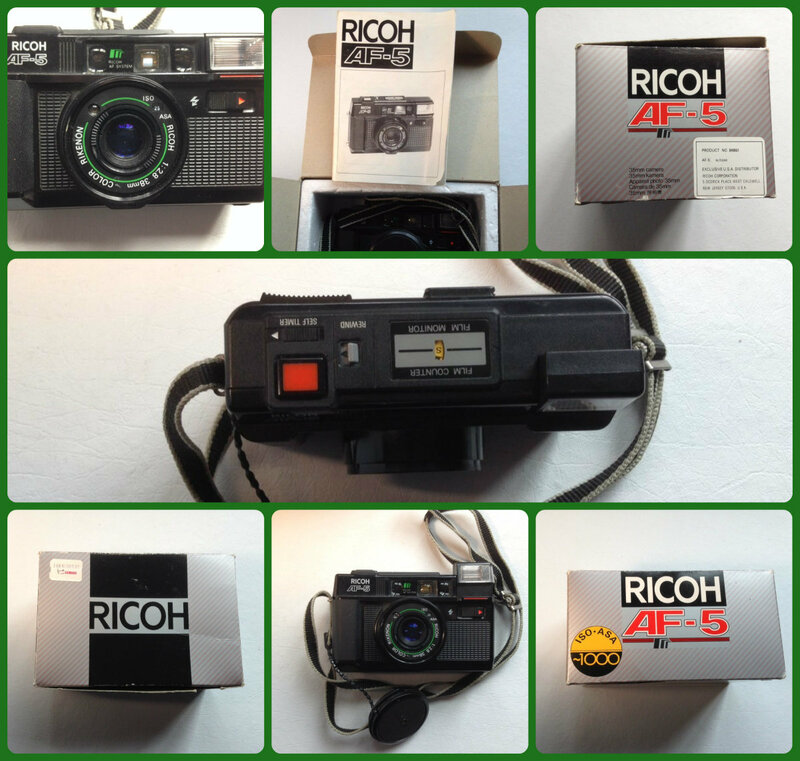 Even today the Ricoh AF-5 is still a great seller on vintage camera sites such as eBay and Amazon. This well made model is hard to keep on the shelf at second hand stores, as well as vintage camera shops.What makes it really great is that it only takes two standard easy to find AA batteries to power it up. The last of the point and shoot Ricoh cameras was the Ricoh RZ -1050 automatic 35MM AF camera which was fully automatic 35MM AF compact model. It had an aspheric zooming lens, zooming 38 – 105MM, with built in flash, red eye reduction, and slow synchrony. The flash shooting range was to ISO100 –SIO400 with auto-focus shooting. 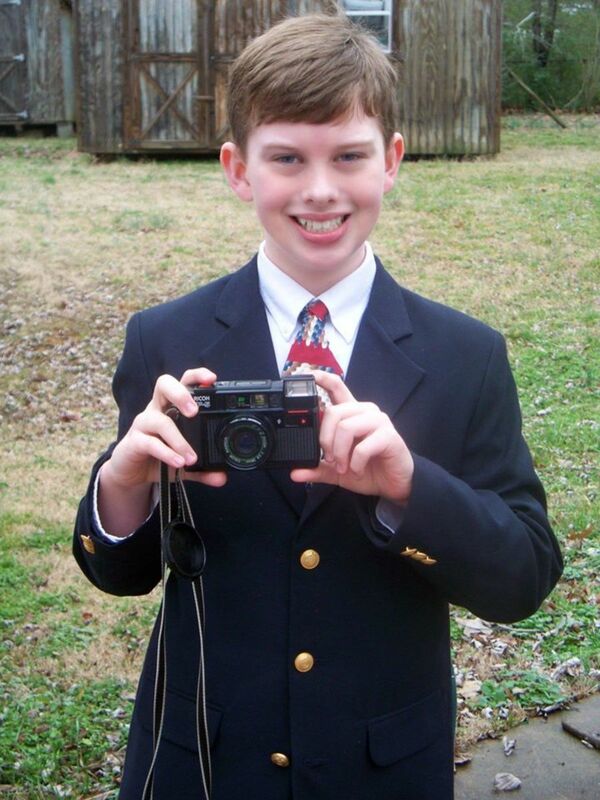 You could have panorama pictures, and this model had a self-timer. The power source for this model was a 3V lithiumX2 battery. 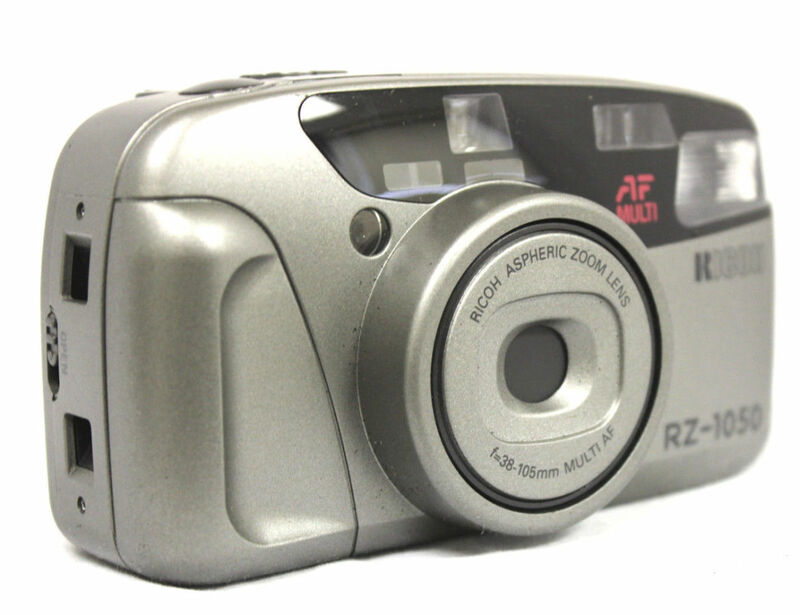 The Ricoh RZ -1050 automatic 35MM AF camera which was fully automatic 35MM AF compact model. The Ricoh RZ -1050, introduced in the late 1990s by the Ricoh Camera Company of Tokyo Japan, is a marvelous compact Zoom lensed camera, marketed as a pocket-able travel companion thanks to its wide-angle range. You can take clear and sharp pictures with the Ricoh RZ- 1050 just like its older brother form the 1980s the Ricoh AF-5 35mm camera. 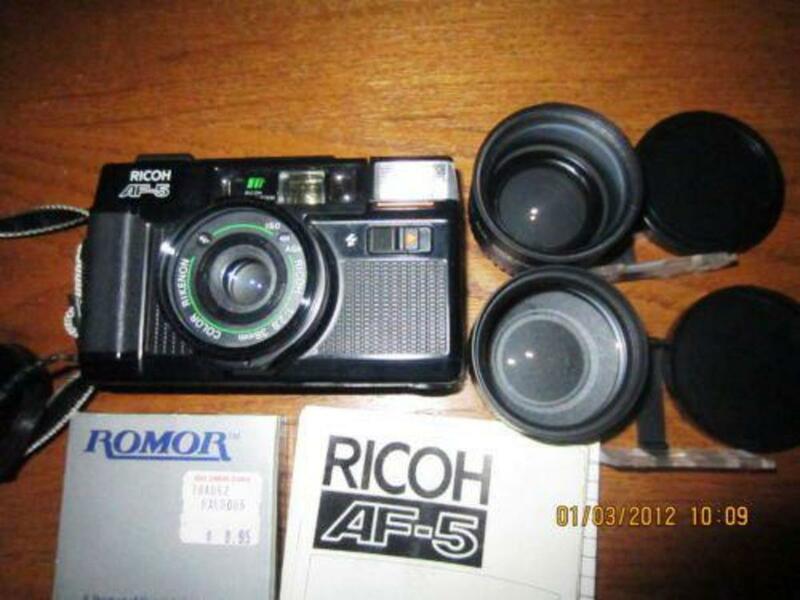 Also like the Ricoh AF-5 it is a compact automatic 35 mm point-and-shoot film camera that is ideal to carry anywhere. 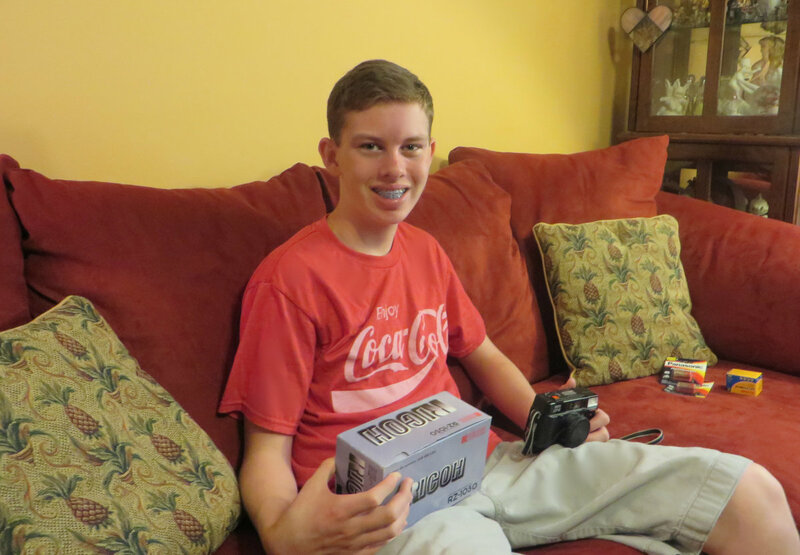 Grantley showing his New Ricoh RZ-1050 Automatic 35MM Camera. The final results on this Ricoh RZ -1050 film camera shows that like it older brother from the 1980s the Ricoh AF-5 it is more than capable of giving a consumer what they want from a compact well-made film cameras from the 1990s, and it goes without saying that it was one of the better ones to own being made at the Tokyo Japan plant. 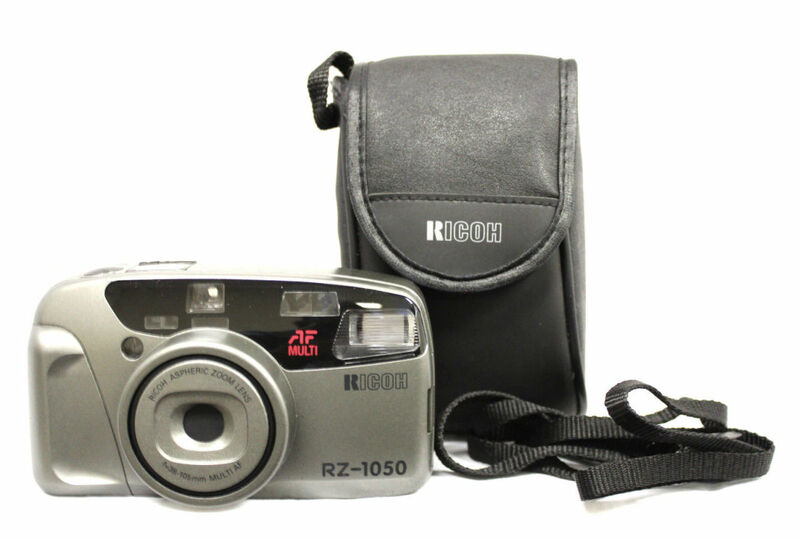 The nice thing is that there are a number of these Ricoh RZ -1050 models available from sellers on eBay and other online sellers, and they are still in their factory boxes. 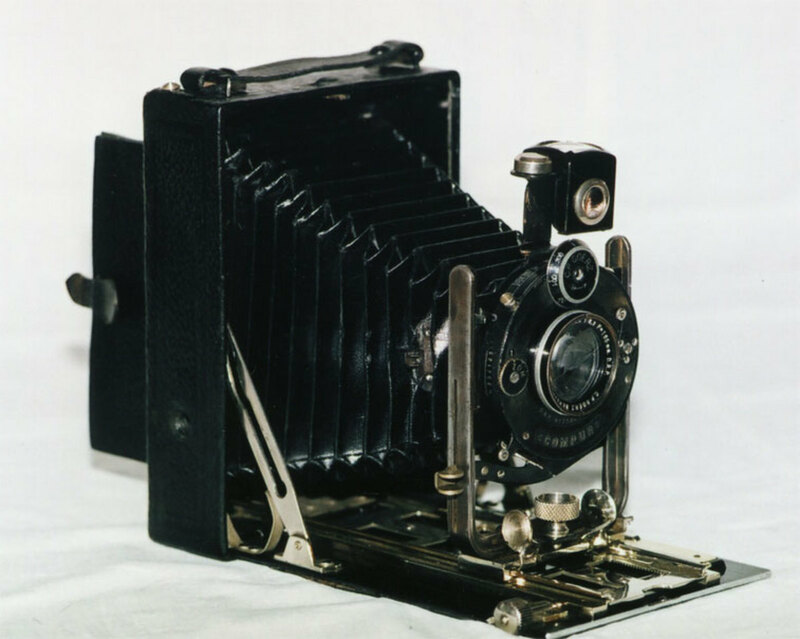 They are what is known as old new stock, meaning they never made it to a department store or camera store shelf. 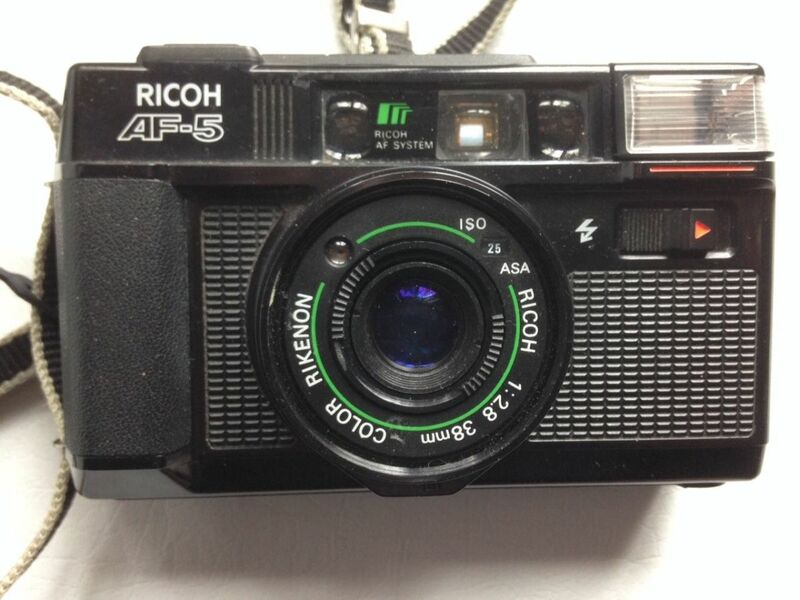 The suggested list of $169.96 for the Ricoh AF-5 was its base price in the early 1980s. Two factories made this model, one was in Japan, and the other was in Taiwan. Both of these two Ricoh 35MM film cameras the Ricoh AF-5, and the Ricoh RZ-1050, show amazing sophistication in their styling and design, and both of these cameras are great for almost any need. During this era from the early 1980s to the end of the 1990s the Ricoh Camera Company had probably the largest production line of automatic film cameras in the world with over 24 styles and designs in their 35MM automatic film cameras department alone. You can take close-up photos of far-away objects with this Ricoh RZ-1050 35MM film camera that has a wonderful zoom lens. Or shoot non-blurry portraits with the awesome self-timer mode of this automatic point-and-shoot camera. What is truly wonderful is the red-eye reduction flash mode of this marvelous made in Japan Ricoh film camera automatically reduces the red-eye effect caused by the flash in your photos. What's more, the built-in flash of the Ricoh allows taking remarkable photos in the lowest of light. The flash shooting range was to ISO100 –SIO400 with auto-focus shooting. You could have panorama pictures, and this model had a self-timer. The power source for this model was a 3V lithiumX2 batter. The photographer that is looking for a smart point and shoot 35MM film camera can find it in this Ricoh RZ -1050 mode, because it has smart technology to produce the best pictures. Being small and handy this zoom film camera does almost everything the big boys did, and it can go almost anywhere. You will bring back great shots even in the lowest of light. The Ricoh Company originally introduced many great designs in optics and film cameras that made the brand very popular from the 1950s to the 1990s, and now these vintage well-made cameras have developed a very loyal following, and are loved by most film camera hobbyist. Ricoh originally introduced many great designs in optics and film cameras that made the brand very popular from the 1950s to the 1990s, and now these vintage well-made cameras have developed a very loyal following. 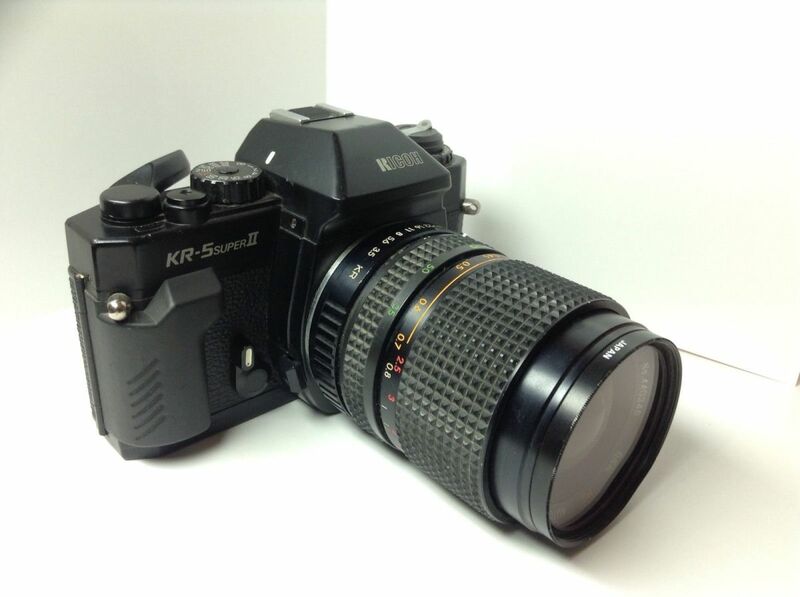 The camera in the photo below is the deluxe Ricoh KR-5 SUPER II film camera, with this camera you are assured of proper exposure settings. The green LED indicator of this mechanical shutter camera indicates correct exposure while the red LEDs warns against over or under exposure. 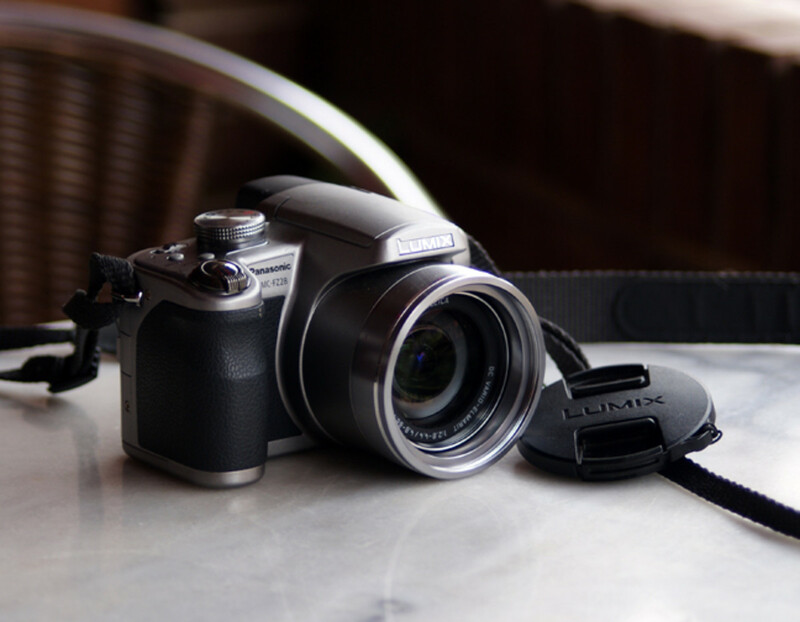 With this mechanical shutter camera you need not worry about batteries going dead as the shutter does not draw any battery power. The fastest shutter speed of this Ricoh KR-5 SUPER II is as high as 1/2000th of a second thus making this camera perfect for fast action photography. Ricoh KR-5 SUPER II film camera is intended for those who desire full manual operation to experience pure SLR photography. Ricoh AF-5 in its Original box with user Manual. Made in the early 1980s the Ricoh AF-5, it was a sophisticated well-made point and shoot auto-focus compact camera for 35mm film with an integral flash and auto-focus, and was manufactured exclusively by the Ricoh Camera Company. French site says that AF-5's lowest shutter-speed is 1/8 and nothing more about that. Butkus - not even a word. 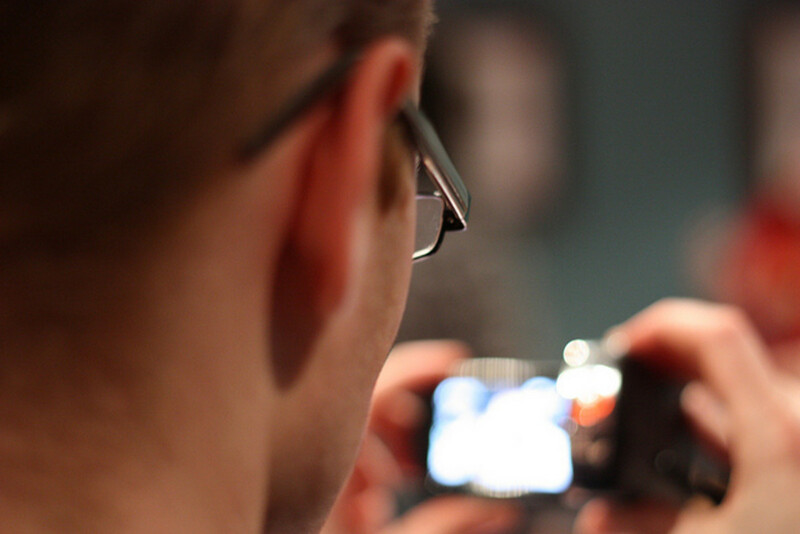 Pretty nice camera btw, looove it. Sounds clicky but it's ok, 80's are here! I bought mine with strap and lens cap (no box or manual).